An online start-up business is on course to create a new market for Cornish art with support, advice and guidance from Superfast Business Cornwall. 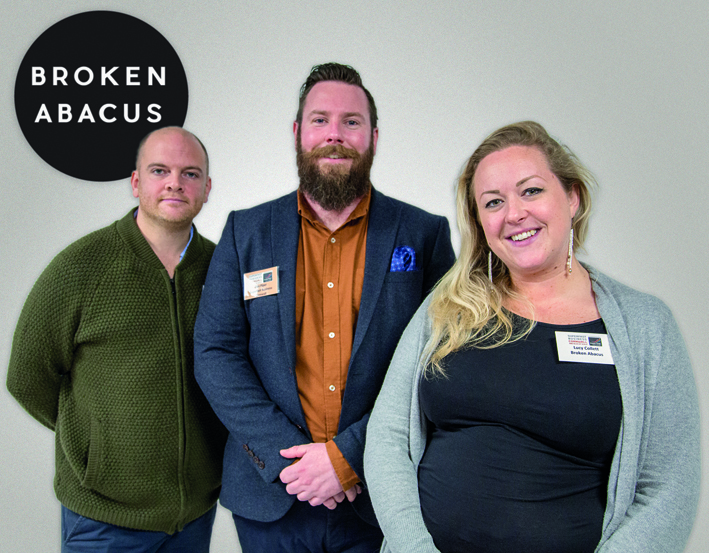 Broken Abacus, an online marketplace for the sale and promotion of contemporary Cornish art, is in the late stages of development and due to launch this year. The business was co-founded by Chris Colston and Lucy Collett who noticed time and again that artists were limiting their client base by only displaying their work in galleries. Chris said: “My background is in art and web development and so many times I went to look online for an artist I had noticed or liked, only to find that their website was out dated or wasn’t suitable for mobile use. Lucy added: “Often, even if the artist had a website, it was limited in scope, without a commerce function, pricing or availability. We are conscious of the fact that maintaining a web presence is resource intensive in terms of time and costs. By introducing a collective digital marketing platform, we can hopefully help alleviate much of that faff and allow artists to concentrate on their studio practices. Lucy and Chris were directed to Superfast Business Cornwall by Outset Cornwall, which advises people on setting up their own business. They attended a Technology for Growth workshop with the Superfast Business Cornwall team where they met Dan Piper, who was later assigned as their Business Advisor and helped them to develop a digital action plan and reviewed their website plans. They also attended Superfast Business Cornwall’s Tech for Growth conference last year and the Connect to the Future conference at Goonhilly Earth Station in October, which further opened their eyes to understanding, adopting and exploiting digital technology to start their business. Chris said: “Our experience with Superfast Business Cornwall has been invaluable, they have given us business advice as well as access to knowledge and further opportunities. With the support of the project and due to a direct suggestion from Dan, Broken Abacus crowdfunded to raise money for the platform, which caught the attention of Arts Council England. The Council agreed to support the venture, providing 25 per cent of the funding if Lucy and Chris reached 75 per cent of the overall target, which they did. Broken Abacus is due to go live in early 2018 using a dot com address to further its reach and appeal to the international market. Superfast Business Cornwall aims to help businesses understand, adopt and exploit digital technology to boost competitiveness. The service offers a tailored programme of high quality information, impartial advice and digital development. Grant investment may be available to enable new digital projects. The service is funded by the European Regional Development Fund (ERDF) and delivered by Serco Employment, Skills and Enterprise, national market leaders in the provision of Superfast Broadband focused business support. Building upon the success of the previous Superfast Business Cornwall Service, this latest project runs until March 2019. For more information about Superfast Business Cornwall and how it can help your business to utilise digital technology, visit www.sfbcornwall.co.uk.